In light of recent news stories about cyclists, it is important for all riders to understand where they stand within the bounds of the law. If you are using a bike in the United Kingdom, you should try to understand how the laws could affect you. Here are some important laws that could affect the way that you ride. Running a red light or failing to stop at a stop sign is an offence which directly contravenes the Highway Code. Offenders can be given a fixed penalty fine which is usually around £50. It is also an offense for a cyclist to ride through an amber light, unless there is a risk that stopping could cause a collision. Many cyclists ignore traffic signals as they feel that it is safer for them to set off at a different time to the rest of the traffic; however this is also an offence. Any bike which is ridden on a public road must have an efficient braking system which operates independently on the rear and front wheel. This means that fixed wheel bikes should not be used on the road. Many cycle couriers use fixed wheel bikes because they feel that they are able to move more quickly with these bikes, however these couriers are committing an offence. 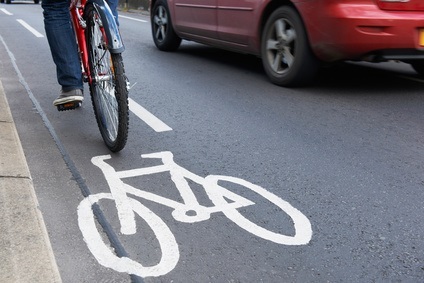 It is an offence to cycle on a road or through a public place if you are incapable of having full control over your bike due to drugs or alcohol. Technically, a cyclist may actually be disqualified from driving (a car) if they are caught riding a bike whilst unfit through drink or drugs. Although many people see cycling as a great way to get home from the pub after a few drinks, it could actually land them in deep trouble. A bicycle must only carry the number of people that it is designed to carry when it is used on a road or in a public place. This rule includes public bridleways. For example, only one person can ride on a standard single seat bike, whereas only two people are permitted on a tandem cycle. This means that it is an offence to allow a friend to have a “backie” on the parcel shelf of the bike or sit in the basket at the front! Cyclists who are on the road between sunset and sunrise must have working lights on the front and rear of their bike. The astronomical sunset and sunrise times are considered to be the legal cut off points, even if there is some natural light through dawn or dusk. The light at the front of your bike should be white and the light at the rear of the bike should be red. You must make sure that your lights are not obscured by anything, such as a saddlebag or long coat, or dirt. Flashing lights are permitted, as long as the frequency of the flashes is not below 60 flashes per minute and not more than 240 flashes. Cycling carelessly refers to cycling without due care and attention. The standard should be below that which is considered to be competent and careful. There is a maximum fine of £1000 for careless cyclists. Dangerous cycling is cycling which obviously falls well below the standards expected by a careful and competent cyclist. Police often argue for this charge if the cyclist appears to be wilfully breaching minimum standards, rather than breaching them accidentally. Cycling dangerously carries a maximum fine of £2500. Cyclists are normally only charged with cycling furiously if their riding has caused an injury to another person. Causing injury by cycling furiously carries a two year maximum prison sentence. If you are hurt in a cycling accident that was not your fault, then you may want or need to claim for compensation. Vice Versa, if you injure somebody because you were negligent while cycling you could yourself end up being sued for personal injury compensation. If you find yourself in either of these situations the best thing to do is to speak to a solicitor who specialises in bicycle-related accident claims. They will help to identify the person who is responsible and they can then help to build a claim against them, or defend you if it is you being claimed against. If you have helmet camera footage of the incident, you must give this to your solicitor, even if you think that this could show that you are partially at fault. Withholding evidence is against the law. Your solicitor will also help you to collect other evidence that related to the incident and the damage that has occurred. It is an offense to grab or hold a motor vehicle or moving trailer without reasonable cause. This can put the rider or the driver at significant risk of injury. Cyclists may be able to make an argument for grabbing another vehicle if there is evidence that they may have been knocked off otherwise. Although this is a popular pastime in Hollywood movies, it is best to avoid it on British roads!